HMD Global, the home of Nokia phones, has announced the Nokia 8.1, the newest addition to its value flagship range. 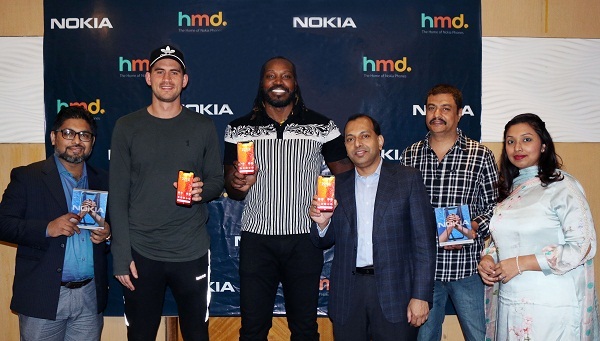 Two ace players of Rangpur Riders, Chris Gayle and Alex Hales unveiled the new Nokia 8.1 in a ceremony held at Westin hotel in the capital recently. Present at the ceremony were Farhan Rashid, Head of Business, HMD Global, Iffat Zahur, Marketing Lead, HMD Global and Raquibul Kabir, Managing Director of Union Group. With an impressive processing power, The Nokia 8.1 punches above its weight with extraordinary imaging achieved by its highly sensitive, industry-leading camera sensor, ZEISS Optics and Optical Image Stabilization (OIS). The new flagship 8.1 features a 6.18-inch IPS LCD display and a weekend busting two-day battery life. All of these come in a contemporary package with the precise craftsmanship expected from a Nokia smartphone. Running the latest Android software, Android 9 Pie, the Nokia 8.1 delivers the best Android experience with the latest innovations right out of the box. The Nokia 8.1 will be available from 1st February 2019 at price BDT 44,000. The Nokia 8.1’s great low light imaging performance comes from a perfect blend of software and hardware. Its 12MP main camera with ZEISS Optics has an industry-leading 1/2.55” super sensitive sensor with large 1.4 micron pixels for precise light capture, delivering exceptionally detailed images. The 20MP adaptive front camera lets the users to capture the ultimate night-time selfie. Users can also shoot movies like a pro with 4K video with high fidelity Nokia spatial audio stereo surround sound recording. The Nokia 8.1 is the second Nokia smartphone to come with Pure Display screen technology for an enhanced viewing experience. The Nokia 8.1 lets the users effortlessly enjoy up to two days with one charge with a non-removable Li-Ion 3500 mAh battery. Long-lasting power combined with the Snapdragon 710 Mobile Platform means the Nokia 8.1 can get through any task without breaking a sweat. At its core is the strength of an extruded 6000-series aluminium frame with a diecast centre for efficient use of materials. Diamond cut edges deliver a bold statement with the durability to withstand the knocks of everyday life. The Nokia 8.1 is the first Nokia smartphone to launch with Android 9 Pie out of the box. Nokia smartphones with Android One offer great storage and battery life right out of the box and come with three years of monthly security patches and two major OS updates. The Nokia 8.1 is available in different colour combinations Blue/Silver, Steel/Copper, and Iron/Steel. Nokia is a registered trademark of Nokia Corporation. Android is a trademark of Google LLC; Oreo is a trademark of Mondelez International, Inc. group. 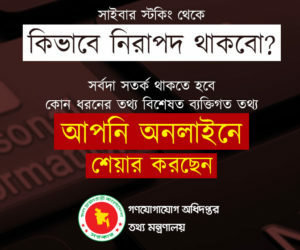 Why Viber, whatsapps are blocked in Bangladesh?